Here is a perfect way to let your BFF know that you are thinking of them this Valentine’s Day… send them a friendship card. 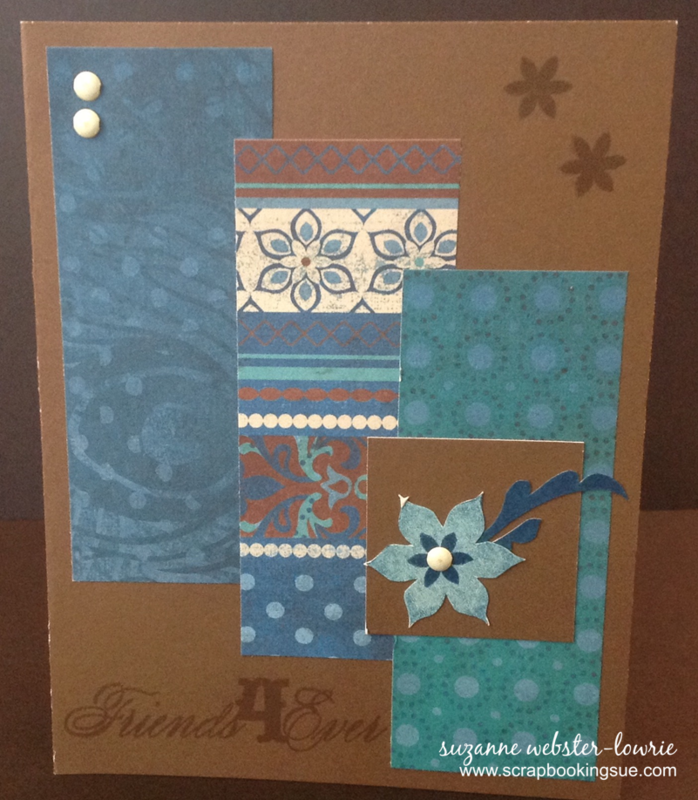 This Friends4Ever card was made with Chocolate cardstock and a retired paper pack featuring teals and blues. This is a great way to use up your paper scraps! Three strips of paper were layered onto the card, and then some stamped images were used for added interest. To finish off the card, 3 white brads were added to the top and to the center of the flower.